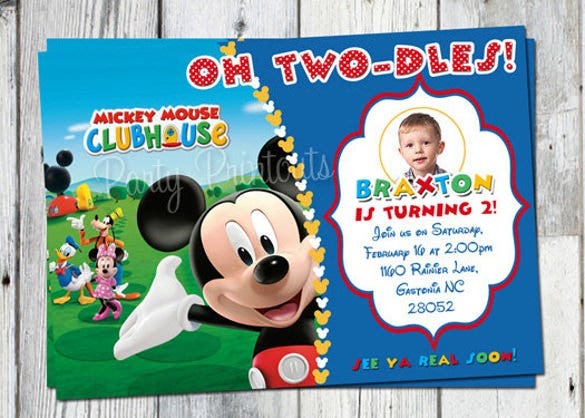 In order to make your baby’s birthday wonderful and memorable, you ought to consider their favorable mickey mouse character in it. 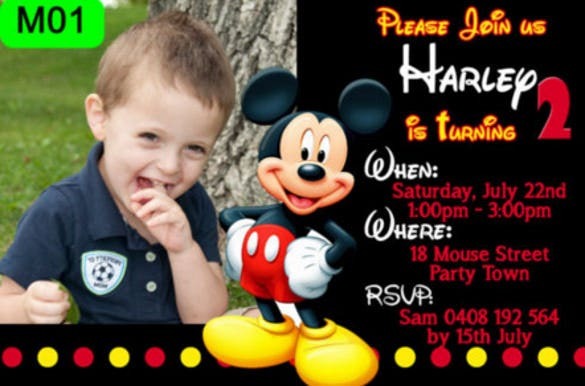 Have this character posing over the headline “You’re invited” will make even an adult smile in spite of a tough day. 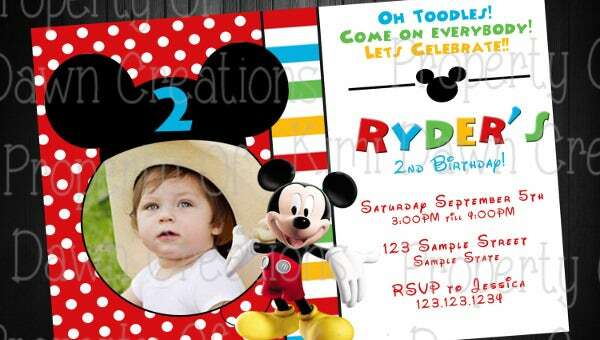 To make it even spicier, you can choose the design and invite style, make the words ring and the color shout. 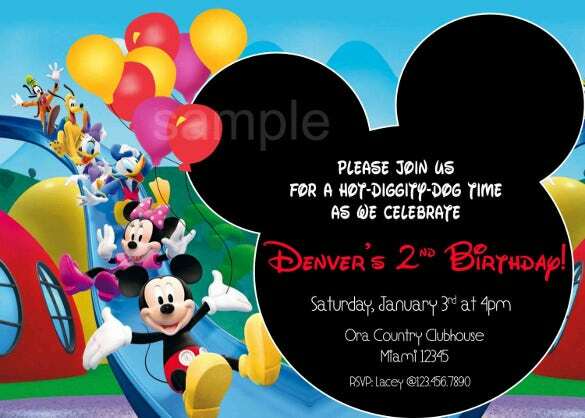 You can also see Minnie Mouse Birthday Invitation. 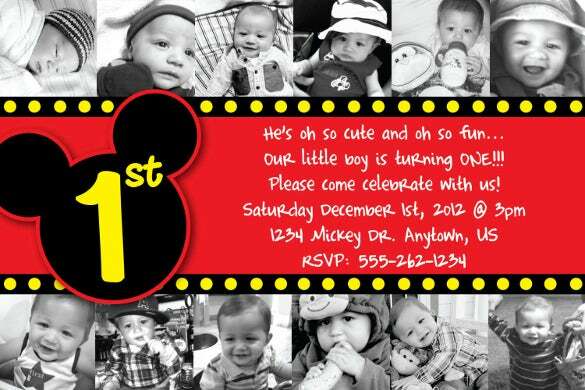 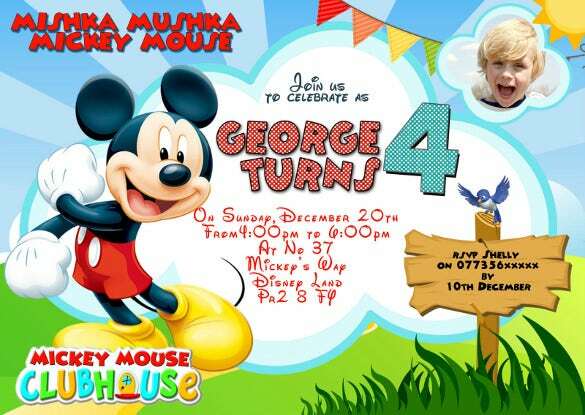 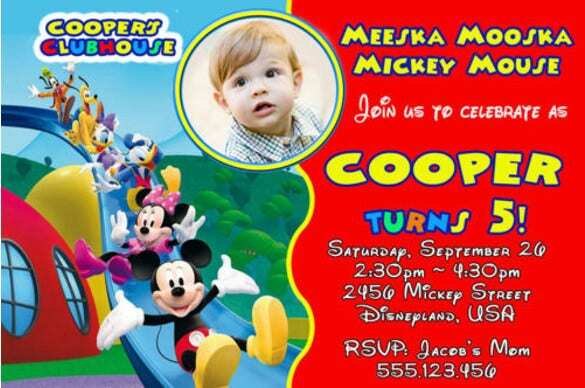 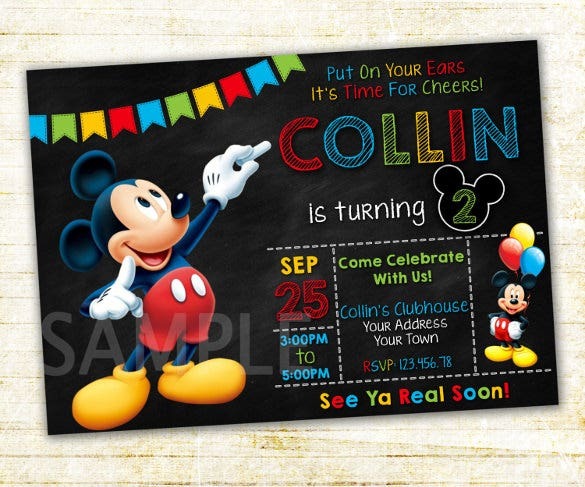 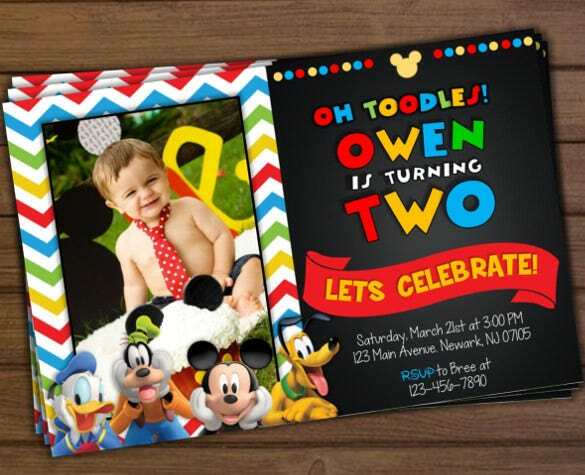 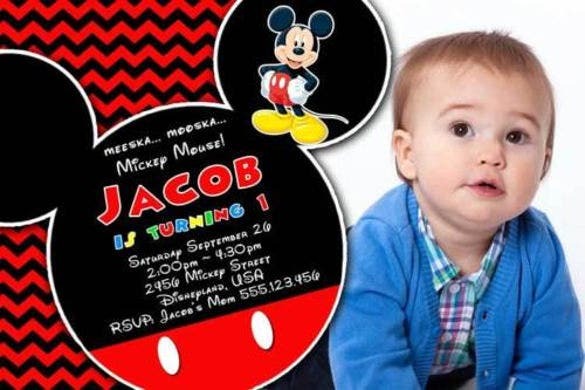 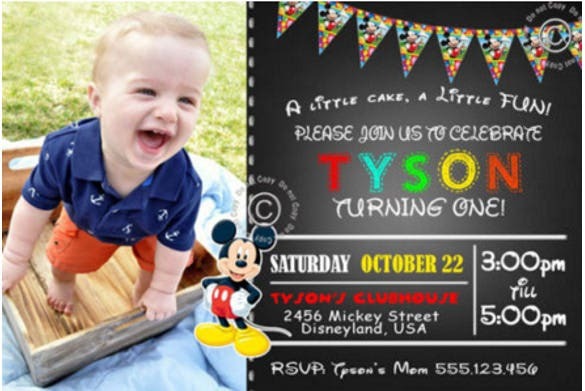 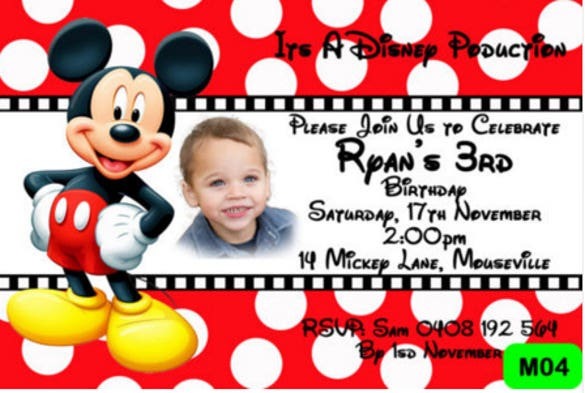 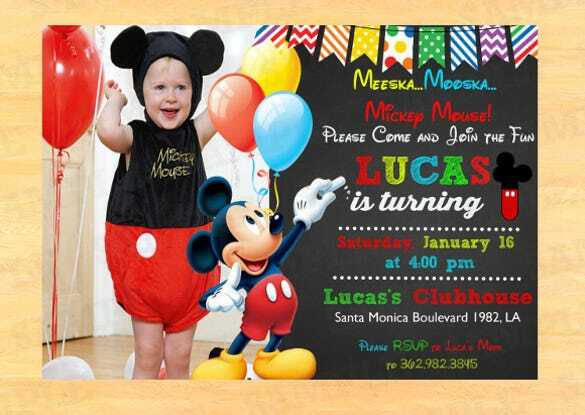 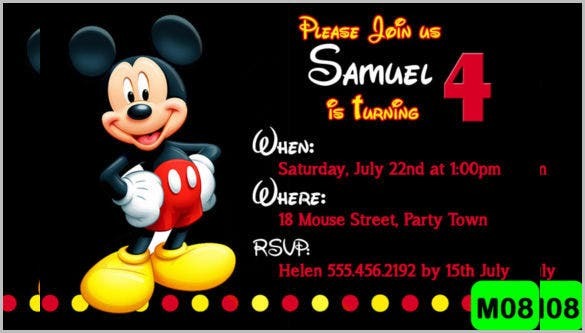 Custom mickey mouse birthday invitations templates and announcements makes a special occasion even more special. 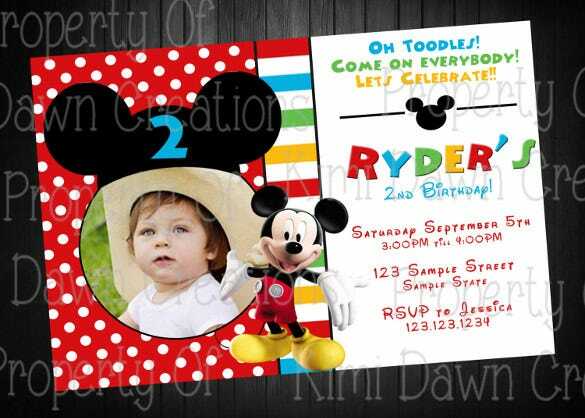 You can have the invite in print with a variety of colors, paper types and printing options. 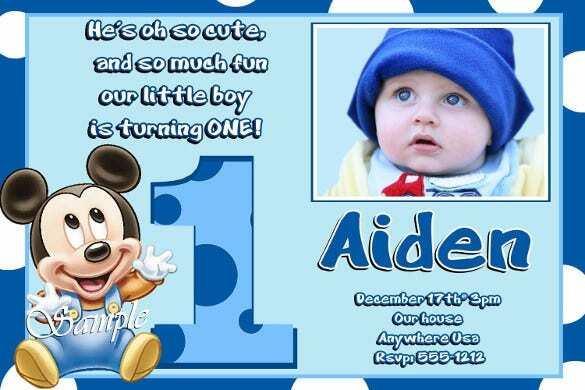 They can also be available for download in soft formats like Word, PSD and PDF for flexibility.